SBT stands for Stud Book Tradition, a term chosen by, The International Cat Association (TICA). 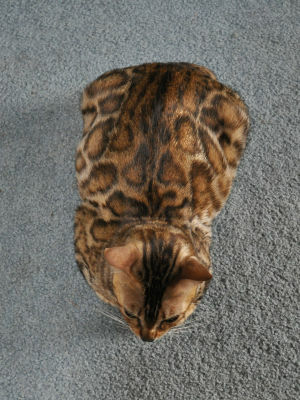 SBT specifies that the Bengal is pedigreed and must be at least 4 generations removed from the Asian Leopard Cat. To be an SBT there must only be Bengal to Bengal breeding.